Present state: The station building and platform are extant. 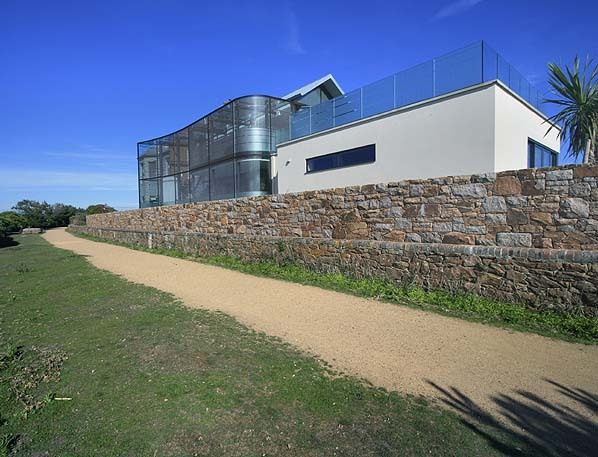 A glass extension was added to the building in 2008 and a high wall built along part of the platform edge in front of the building. The remainder of the platform and track bed are publicly accessible. 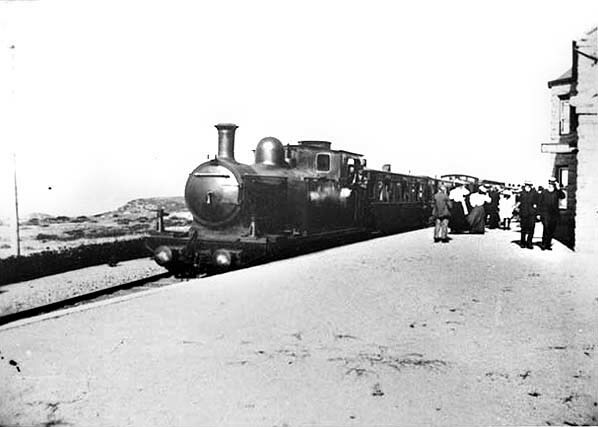 Notes: Corbière was the most substantial station on the St Aubin & La Moye Railway with a long single platform on the down side of the line. 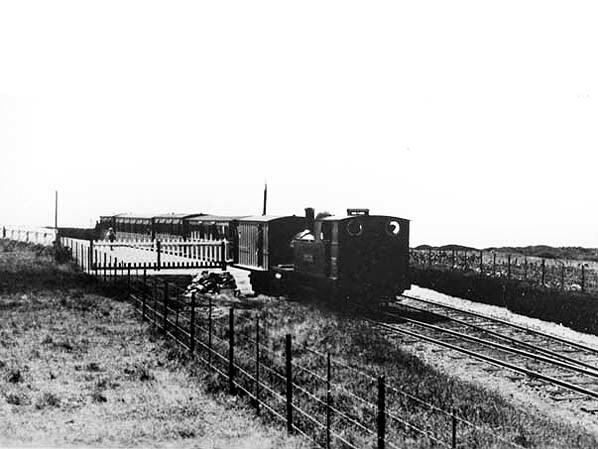 There was a passing loop to allow the loco to run round its train and two parallel sidings on the down side to the east of the station. 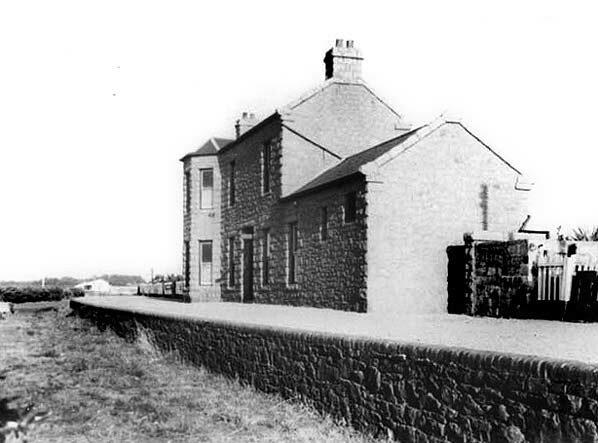 The two storey station building incorporated the station master's house, booking office and waiting rooms. 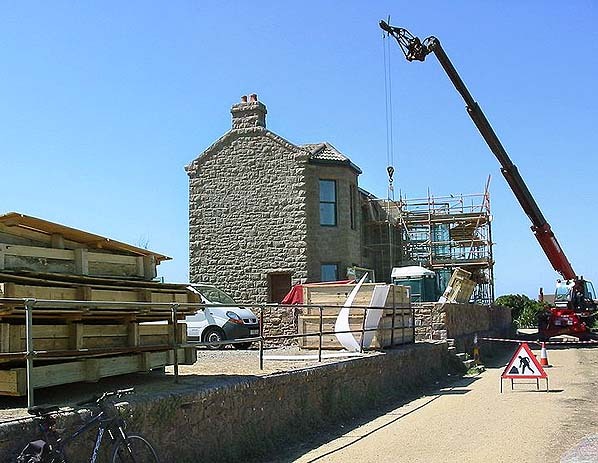 The Corbière extension was inspected by the States' engineer on 22nd June 1899 and opened to the public on 1st July 1899. 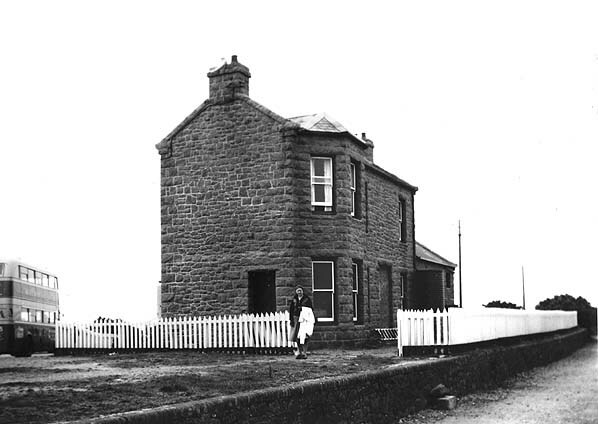 After closure the station remained largely unaltered as a private residence for over 70 years until 2008 when a grotesque glass extension was built and the station house was put up for sale for £2,550,000. At the time of writing the station remains unsold and has now been offered for rent at £5000 per month. The track bed and the majority of the platform are not part of the properly with free public access. 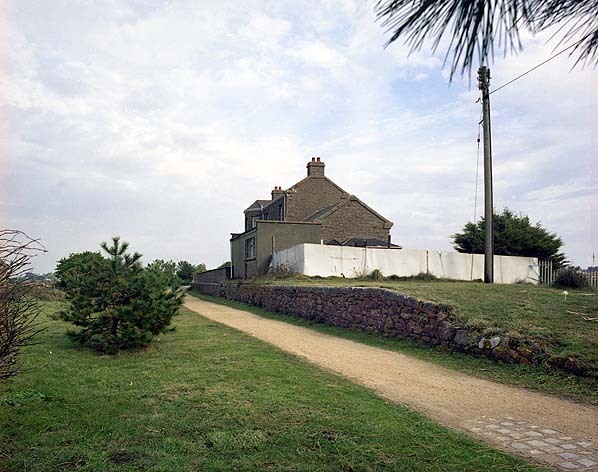 Corbière station is the end of the popular 'Railway Walk'. as it is known is still popular with walkers and cyclists today. 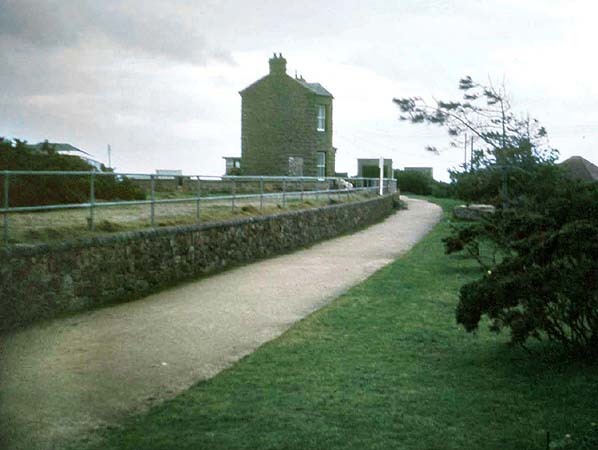 There is little evidence of any of the former stations along the walk, except at Blanches Banques where part of the platform remains, and at the Corbière terminus which is largely intact - although recently spoilt by the addition of a grotesque glass extension. A number of bridges also survive along the route, as does the tunnel at St Aubin which is a cycle hire shop. 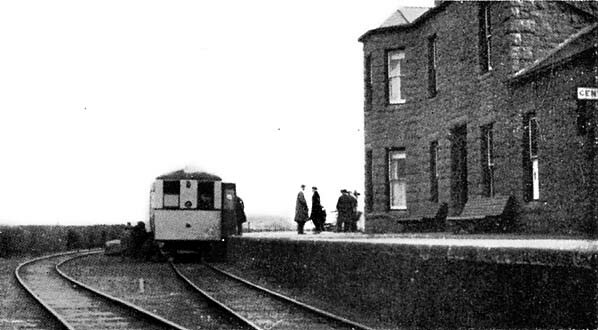 Corbière station c.late 1930s, shortly after track lifting. Corbière station in May 1949. Note the double deck bus, these no longer run in Jersey although there has recently been a proposal to reintroduce them. Corbière station in November 2008 during the construction of the new extension.